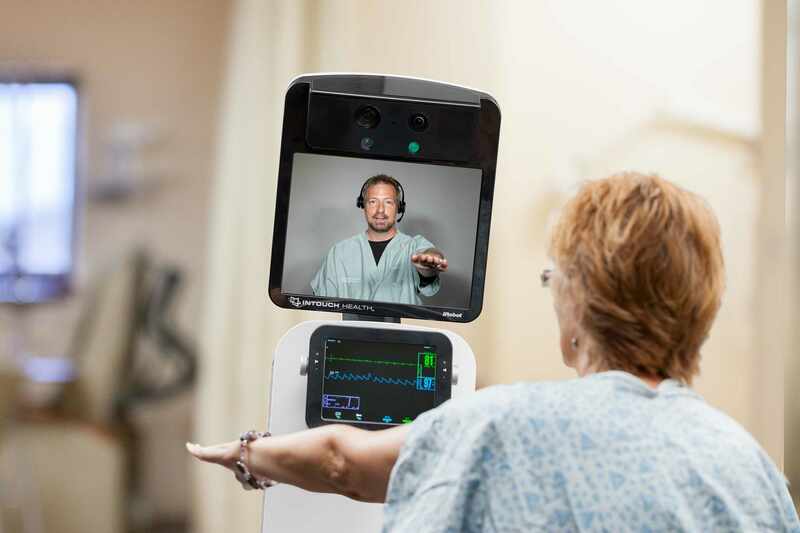 ROCHESTER, Minn. — Mayo Clinic continues to expand its national leadership in the telemedicine arena through its newly announced strategy of a converged emergency telemedicine practice. This positions Mayo Clinic to enhance the telemedicine services it offers to the more than 45 hospitals across nine states served by Mayo Clinic’s emergency telemedicine services. Emergency telemedicine provides acute medical assessments to people who need immediate emergency care through video communications. A Mayo Clinic medical specialist located at a distance from the patient connects via technology with local care teams to assess, diagnose and treat patients. This type of care relies on the expertise of medical, surgical and allied health staff, as well as reliable, fast and secure technology. This convergence enables Mayo Clinic to work with one vendor to create scalable, standardized services across Mayo Clinic’s nationwide telemedicine enterprise. Prior to this convergence, Mayo Clinic worked with numerous vendors as it grew its emergency telemedicine practice. This new strategy consolidates effort, while continuing Mayo’s strong clinical focus through the enhanced technical proficiency and ease of use for Mayo Clinic care teams. “By combining the breadth and depth of Mayo Clinic knowledge and expertise with a standardized technology across the enterprise, we will be able to create a comprehensive, integrated, multispecialty emergency telemedicine program. Through this program, we can provide specialty consults and guidance for medical and surgical emergencies in adults and children,” says Bart Demaerschalk, M.D., a Mayo Clinic neurologist and the medical director of synchronous (telemedicine) services for the Mayo Clinic Center for Connected Care. Also, according to Dr. Demaerschalk, this strategy provides a seamless patient experience and more opportunity for Mayo Clinic to grow its clinical service lines. The initial telemedicine service lines to participate in this convergence are Telestroke and Teleneonatology. Mayo Clinic already provides care to more than 5,000 people per year through these service lines. The convergence enables Mayo Clinic to assist more patients across more sites. The converged emergency telemedicine practice is one example of how Mayo Clinic’s Center for Connected Care is implementing its telemedicine strategy. The Center for Connected Care is committed to developing comprehensive telemedicine technologies and remote digital health solutions that meet the needs of one patient or many patients. The first phase of this convergence will begin in late summer and continue through the first part of 2017.